Blog marketing tips are not in short supply in the internet. In fact a simple Google search on the same yields results of about 155,000,000. So how do you separate the wheat from the chaff? This article will do precisely that by giving you a snapshot of the most important blog marketing tips. 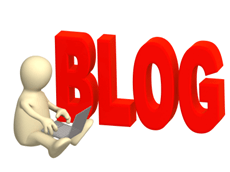 Creating a blog to market your product or service is simple and you do not need to know anything about web development. With the availability of blogging tools such as WordPress and Blogger, creating a blog simply requires you to install a blog application in a hosting account. Use your own domain name e.g. http://paulinemwangi.com. This makes it easier for your customers to find you. Use customizable blog software to enable you to create a theme that complements your product or service. Set up an analytics application such as Google Analytics to monitor traffic to your blog. As you create your blog you should keep in mind the fact that you are dealing with two audiences. Your first audience is your readers and the second one is search engines. Develop a well researched key word strategy and use it in the domain name, site title tag, site Meta description and site categories. Focus your SEO efforts should on individual blog posts. Implement your keywords and related keywords in the articles you post in your blog. Format you posts in a search engine friendly manner. To achieve this, ensure that keywords are captured in the relevant areas i.e. heading, introduction, H1,H2,H3, and in the conclusion. Being found is important but you need quality content to keep your audience engaged. Among the blog marketing tips, this is the hardest to implement. You should balance SEO with content to make your blog effective. No one wants to visit a blog that is loaded with keywords and nothing else in terms of content. Use about 2 to 5 keywords for every 100 words to make them look natural to readers. Research and comment on relevant industry related blogs and blogs with significant centers of influence. Respond promptly and appropriately to comments on your blog. Follow these steps and you will certainly be on your way to blogging stardom. It may not be easy but nothing worthwhile ever is. As a marketing blogger it is important to read widely on industry trends so that you can keep abreast on the latest blog marketing tips.